The first entry in what will be a two-part series, this elaborate and ambitious instalment offers many pleasures, while setting everything up nicely for what will be a highly anticipated sequel. The story gets off to an explosive start, with fireman Kim Ja-hong (Cha Tae-hyun) spectacularly saving a young girl from a fiery building. The escape is dangerous, and the fall bruising, but both girl and Ja-hong seem to make it through okay. Unfortunately for the heroic firefighter, he soon discovers that he did not survive the fall, and is subsequently met by two guardian angels, Hae Won Maek (Ju Ji-hoon) and Duk Choon (Kim Hyang-gi), who inform him on what has actually happened. 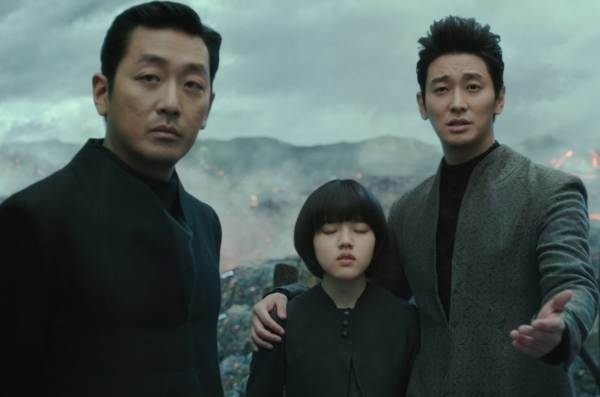 Joining the group after overseeing the funeral, which is attended by the deceased’s mute mother (Ye Soo-jung) and soldier brother Soo-hong (Kim Dong-wook), is guardian leader Gang Rim (Ha Jung-woo), who explains to the understandably bemused Ja-hong that he now has to travel to the afterworld, where he will have to successfully navigate through seven trials over 49 days. If Ja-hong does, he will be rightfully reincarnated into the next life. Deemed a ‘paragon’ at the time of his passing, the guardians initially believe this will be an easy case, bringing them one step closer to the magical number of 49 such souls which have been triumphantly guided from their past lives to the next. However, due to complications in the living world, that path to reincarnation becomes unexpectedly perilous, and failure would mean an eternity of damnation for Ja-hong. Based on the incredibly popular 2010 webtoon by Joo Ho-min, a number of production companies have collaborated to bring it to the big screen. Shot back-to-back, the production apparently has a budget of nearly US$40 million, which is an astonishingly large amount for a Korean cinematic venture, so everything at the very least has to come together reasonably well. Thankfully, film number one is a solid, at-times superbly immersive viewing experience. The strong cast do their best to give the FX-heavy opus some kind of emotional foundation, and they largely succeed, even though some roles come across as somewhat underwritten. Ha Jung-woo, who has had an exceptional run recently, appearing in excellent films such as 1987: When The Day Comes, Tunnel, and The Handmaiden, mixes Gang-rim’s stoic mindset and deadpan responses with measured skill, and effectively makes him the glue holding all this emotional chaos together. With other cast members allowed to be more flamboyant, Ha’s work could be easily overlooked. Cha Tae-hyun, who will be forever known for his role of Gyun-woo in the mega-hit blockbuster My Sassy Girl (2001), makes the most of his part here, ensuring Ha-jong is more than just a one-note hero. Ju Ji-hoon (Confession, The Spy Goes North) gets quite a lively character in Hae Won Maek, and he plays him to the hilt, and supplies a number of the film’s funniest moments. Kim Hyang-gi (A Werewolf Boy, Snowy Road) has a wonderfully expressive face, and it is fully utilised here, giving Duk Choon some shading that is slightly missing in the script. Supporting roles are filled by actors such as Lee Jung-jae (Assassination, The Thieves, The Face Reader), Jung Hae-kyun (The Villainess, The Divine Move), Kim Hae-sook (The Throne, Thirst, Herstory), and Oh Dal-su (Old Boy, Veteran, The Attorney), to name a few. Director Kim Yong-hwa (who also provided the screenplay adaptation), tackles the numerous, expansive landscapes with confidence, but manages the tricky feat of keeping the audience interested in the plights of the people that litter the fanciful surroundings. Even though many will call the finale melodramatic, it does befit the heady plight that faces its main characters. The non-stop CGI effects vary in quality, but are mostly good enough to keep the audience involved in what is quite a large scale journey. The constant computer-enhanced imagery and afterworld scenario does remind one of Vincent Ward’s harshly condemned 1998 fantasy drama What Dreams May Come. Along With the Gods: The Two Worlds became a box-office phenomenon in South Korea when it was released at the end of 2017, and is currently the second highest grossing film of all-time in that country (The Admiral: Roaring Currents still easily holds the number one position). 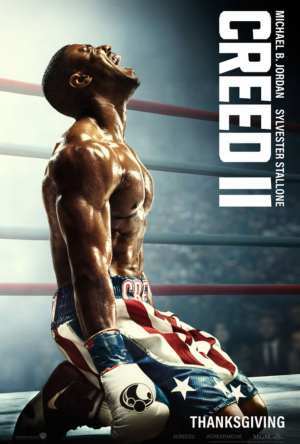 While not perfect, this big budget, big-hearted endeavour delivers more genuine entertainment than a number of its Hollywood counterparts, and when that final scene comes to an end, you are very much looking forward to what Chapter Two will bring, especially when you get a brief glimpse of who is going to turn up in it.